Save 20% with this coupon. Enter code FANCYMA3 at checkout. 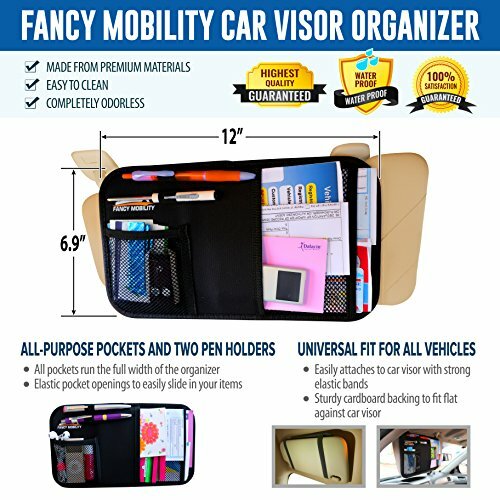 CAR VISOR ORGANIZER INCLUDED – The only backseat organizer on Amazon that comes with an extra organizer just for you, the driver. Simply slip this organizer over your sun visor and keep all your travelling documents and essentials safe and at your fingertips. Start to enjoy your tidy car today! QUALITY SUPERIOR TO ANY OTHER BRAND – Hand crafted with faultless sewing and made of indestructible materials that are waterproof, easy to clean and completely odorless, our organizers will never tear or come loose. 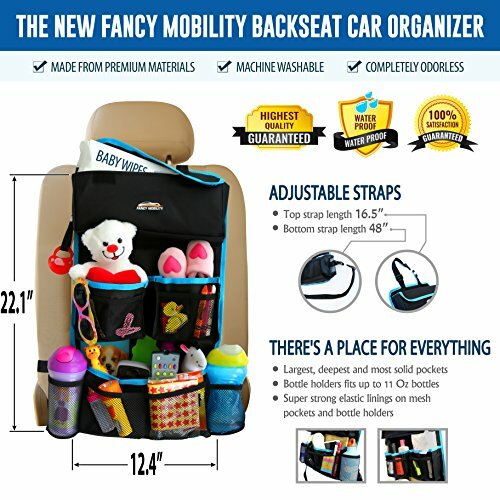 In fact, the back of seat organizer can serve you as an excellent kick mat to protect your car seats from kicking feet. 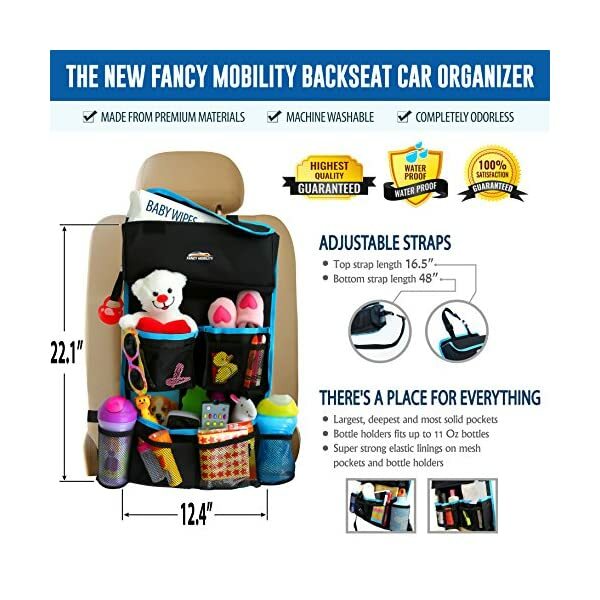 PERFECT FIT – Install the backseat organizer in minutes with its extra-long, adjustable top and bottom straps that allow flexibility, making this car organizer a perfect fit for 99% of vehicle. It stays tight to the seat, and with most modern car seats the bottom strap slides down so that you can’t see it on the front seat. 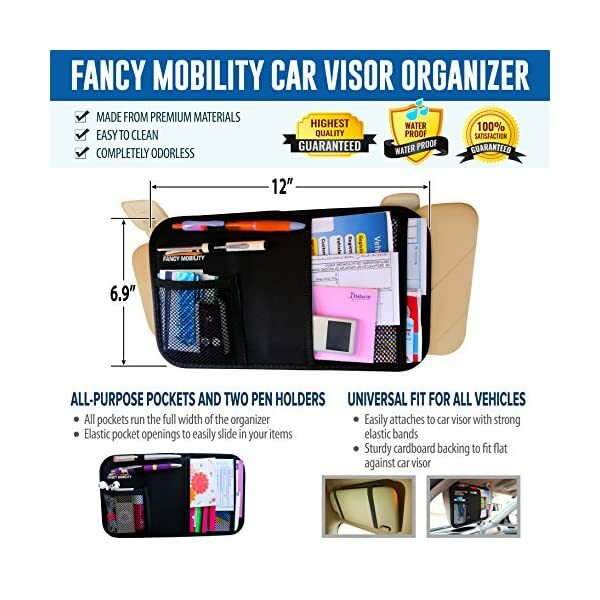 THE COMPLETE CAR STORAGE AND ORGANIZING SOLUTION – In order to give you a full, clutter-free driving experience, we added an extra visor organizer to our backseat organizer just for you, the driver. Undoubtedly, having a special place to store important traveling documents will make your mobile life much easier, affording you more peace of mind. 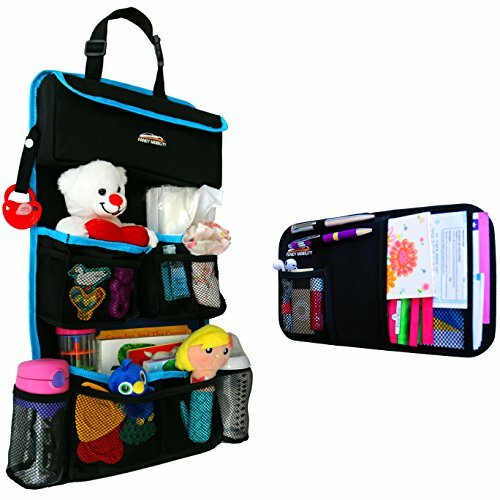 Backseat organizer size: 22.1″ x 12.4″, length of the straps: 48″ bottom, 16.5″ top. Bottle holders fits up to 11 Oz bottles. 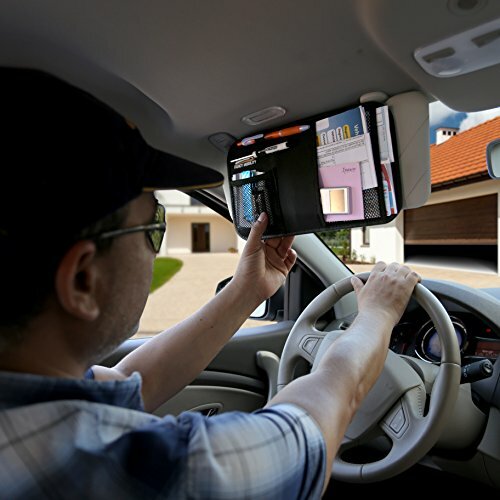 No matter if you’re traveling or running errands with young children, when they start to get unruly and impatient, you need to keep them occupied, but all the toys are lying all over your car. You try to reach behind and catch one, but you can’t focus on driving, so the stress levels rises! Being able to get your kids’ essentials at a moment’s notice is one of the secrets to enjoying pleasant car rides. 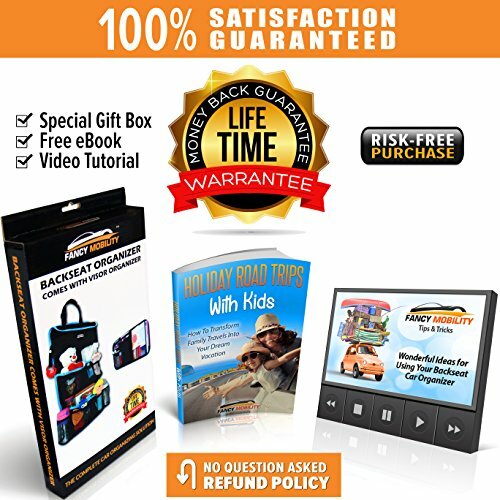 How about making all your road trips completely stress-free? 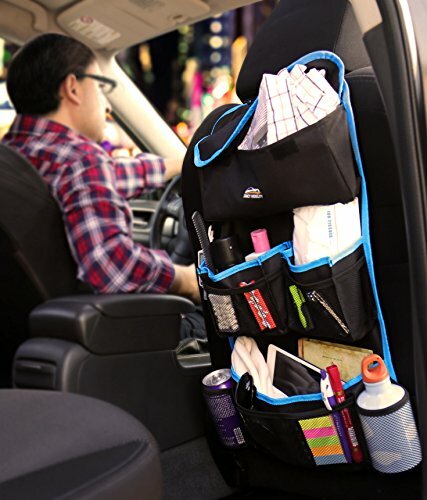 With Fancy Mobility car organizers, you will not only tame the clutter but stay organized for years to come. Our car organizers are the best available on the market with quality superior to any other brand. LOOK NO FURTHER! Fancy Mobility is clearly the best choice with its 100% lifetime money-back guarantee. It is a RISK-FREE purchase you shouldn’t pass up. 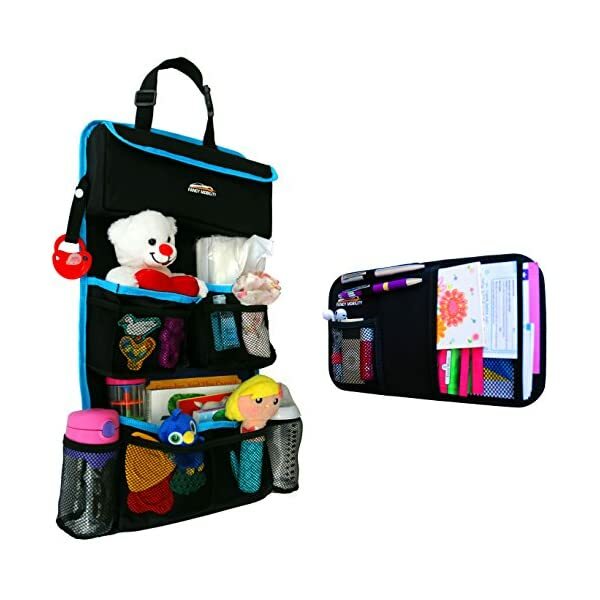 EXTRA STORAGE & VERSATILITY – With extremely deep pockets and strong elastic linings, our backseat organizer is designed to perfectly hold all of your children’s storage needs securely in place. 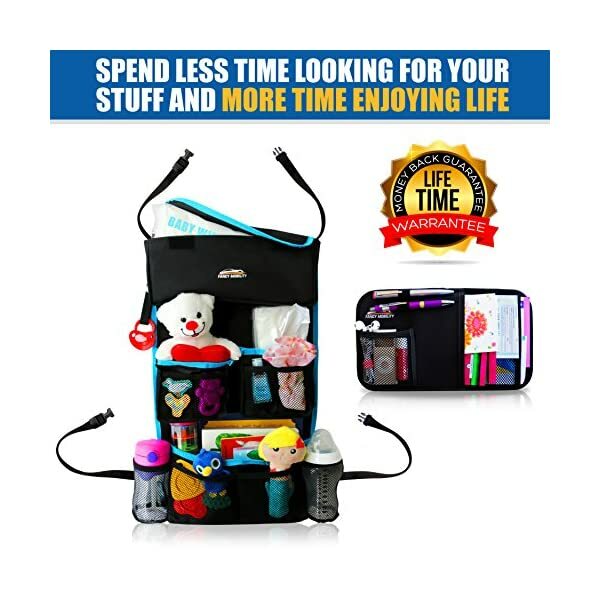 Storing items like books, iPads, cd’s, tissues and more not only makes it a great car storage and organizer product for adults, but also the perfect gift for everyone! 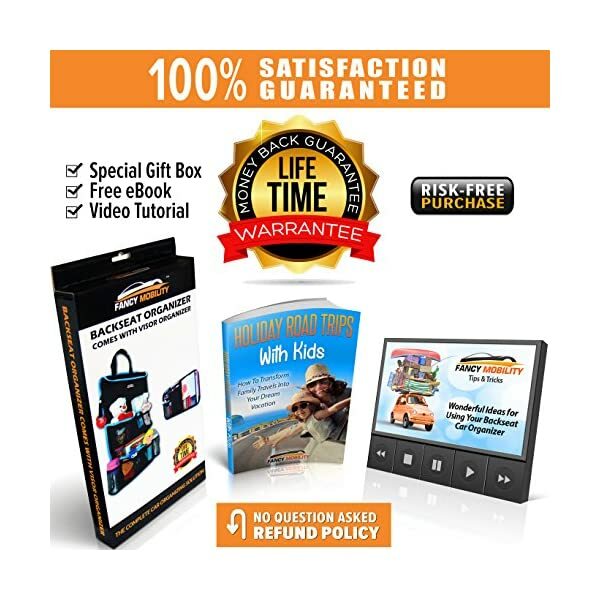 LASTS A LIFETIME – We provide two car organizers, an e-book on travelling with kids, tips and tricks video tutorials and a lifetime guarantee. 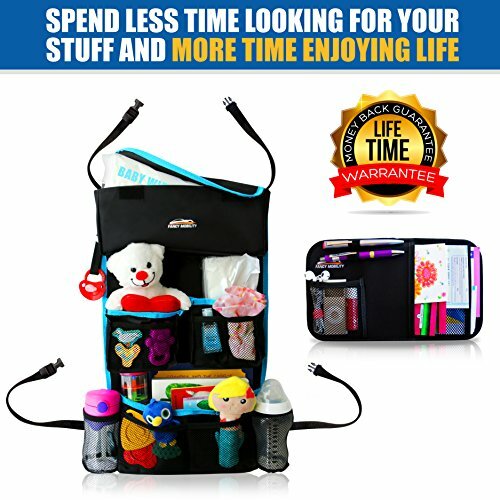 Click the “ADD TO CART” button now to enjoy your Fancy Mobility organizers for the rest of your life!